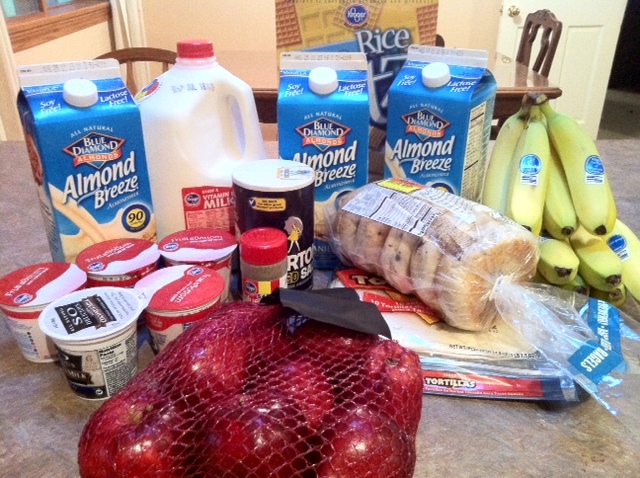 It’s week 1 of the Low-Spend Pantry Challenge! I managed to spend $24.99 at the grocery store…and I’ll be sharing about my trip to the Ashtabula, OH Farmer’s Market soon. We were visiting family there over the July 4th weekend and happened upon a farmer’s market…so I got a few things that would survive the trip home. And I will plan to stop by our local farmer’s market on Thursday…hoping they’ll have more vegetables this week! I’m also from the Dayton area, what are your favorite Farmer’s Markets in the area? Have you tried making your own Coconut Milk Yogurt in the crockpot? I’ve found some instructions online and plan on giving it a try – but wanted to know if you had and if you had any luck. I’ve read using the full fat canned coconut milk works better than the refrigerated type. It seems like it would be a real money saver.